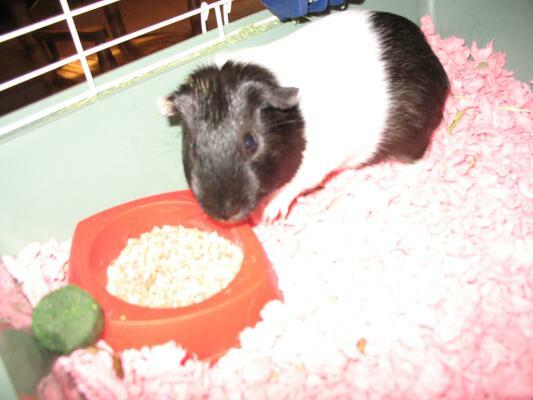 Have you ever met our pet guinea pig Jib Jib? He is black and white. Some places you touch him or hold him he will try to bite you with his sharp teeth! However, if you pet him his fur is soft. Now you know what Jib Jib is like. Have you ever heard the sounds Jib Jib makes? Jib Jib will make many sounds like squeaks, chutters etc. Squeaks can mean a lot of things like he�s scared, angry>: (, sad: (, and happy:). Chutters mean he likes what you are doing. Now you know what Jib Jib sounds like.